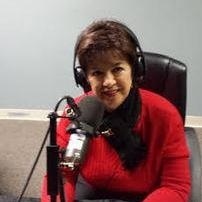 The Networking Diva Hour weekly radio talk show is all about networking,business tips,to preparing for job interviews. Info on all the Do's & Don'ts for successful job searching to getting your business promoted!. International radio host and producer Janiece Carlson, connects all communities and entrepreneurs with valuable business information as well as information on events, new businesses, start-ups, showcasing all non-profits, and much more! The Networking Diva Hour is the show that gives back to the communities near and far! Live every Friday Morning 10-11am MT. Janiece is a recognized local C/S professional women and winner of Business Women of the Year 2015-2017 through the NAPW, and several other awards in her career​ and her show has been nominated for "The Best Of" through the Gazette for 2016 for Show & Host as well as The People's Choice Award 2016 & 2017! Newly Nominated for Best of Show & Host 2018!